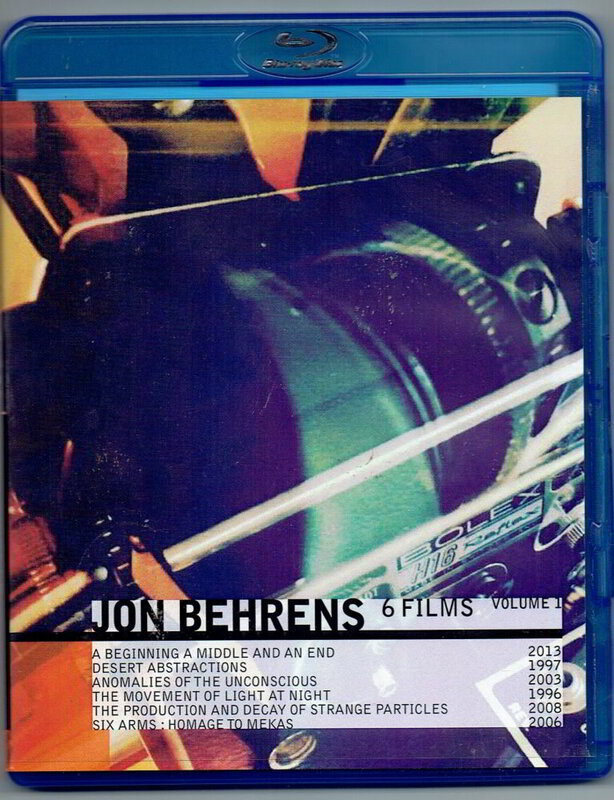 Jon Behrens is a Seattle based filmmaker, film programmer, photographer, sound designer and teacher. His films have been screened through out the world and has been active in the Experimental and avant garde film movement since the early 1980’s. This film was made from reconstituted found footage and it is a hand painted and optically printed wonder with a beginning a middle and an end. This is a film that I had wanted to make for many years. It was not until the summer of 1996 that I actually got it together and shot it. Again with the help of Steve Creson we packed up all our equipment and loaded on to a plane and flew to Arizona were we rented a car and drove around the desert for week and filmed everything that we thought looked interesting. This film is similar to the films in my urban landscapes series, only this film was shot in eye popping full color and there are no man made elements in this film at all. Lots of rock formations, colors, and shapes only things made my mother nature. This film also has a film score by Rubato. This was the first film that I collaborated with fellow filmmaker and friend Steve Creson. We each shot a 100ft roll of film and we did not know what each other were shooting. The only thing that our footage had in common was the fact that it was all shot in color and at night. At the time that we did this we were each experimenting with new techniques of our own. This took place on a nice summer evening in July of 1996. Film score by Rubato. I was asked to participate in a film program were filmmakers were asked to each shoot a 100ft roll of film in the style of legendary filmmaker Jonas Mekas. This short burst cinematic film diary was shot on a nice Saturday Afternoon at my favorite Pub The Six Arms, I documented my afternoon as it happened. Their was no editing at all on this film it was all done in Camera. I liked the film so much that I decided to add a sound track and released it.